What is the Worth of Someone Going on a Germany Job Seeker Visa with 5 years of Experience in Software Development? Yes, great opportunities await you in Germany if you have such experience. The candidate should know that the Germany IT industry is flourishing well now. Now it’s in such a state that you can get lucrative jobs here In the IT industry, there are jobs for various languages such as, PHP is the highest. There are 5 languages which are in demand right now, Ruby, Scala, Python, PHP and Java in Germany. After Php, it’s Java which has high demand here. Therefore, its not complicated to get a job in Germany with the language of Php having the highest demand here. However, the candidates should have knowledge of German and English to find jobs in this domain. Now, for someone who knows Php, learning, German is not troubling. The programmers have to present the test results in this language before they get selected for such jobs. The salary for an experienced Php developer is 60,000-65,000 Euros. Knowing German is quite beneficial if you want to succeed as a developer in this country. However, Berlin and Munich have a great need for developers. In Munich, to get settled as a developer, only knowing Php is enough whereas the same requirement does not hold for Berlin. In Berlin, the demand for Ruby on Rails is more which is an emerging language. 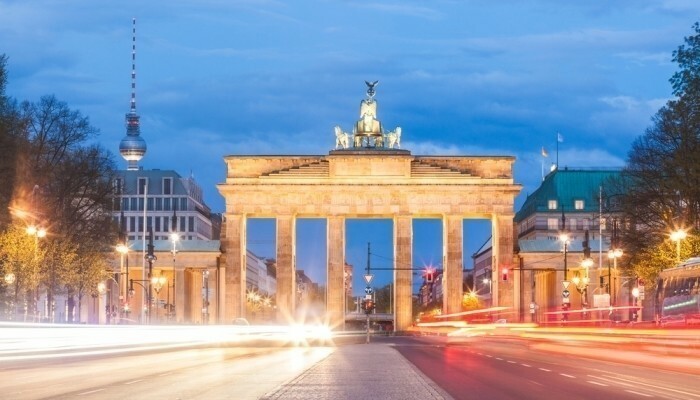 Why is demand in Germany so high for IT engineers? The country has also been exporting IT services to other countries. Germany has a high demand for programmers because it has great IT-related exports. These exports have been high as €21.8 in 2014. In fact, Germany has been responsible for exports of computer hardware and its amount was 31.5 billion Euros in 2014. There is a high level of software development which is happening in this country because it wants to stay competitive. The need for software developers in the private sector exists because the developers are needed for coding the software required for, internal use in companies and handling software security. So, there is a huge need for software developers. The range of salary of Mechanical Engineering jobs starts from, 36,000 Euros. This is more when the person has experience or you have a Masters degree. The MNCs in this country expect someone to have a Masters degree. The Master’s degree holders earn about 54,000 Euros when starting their job. Apart from scientists, a need for mathematicians also exists in this country. Data scientists are needed here for creating systems for spoken language. For this profile, knowledge of mathematics and coding both is required. Computational Mathematics is required for this kind of a profile. Apart from private companies, even insurance companies and banks require such mathematicians. So, there is an abundance of jobs for someone who is from science, technology, mathematics and engineering backgrounds. Apart from the private sector, the demands for such jobs are also high in the public sector. The government is sponsoring research in the IT domain and the other domains of science, engineering and medical. Can I Seek a job in Germany with a Tourist visa? What is the Easiest way to Get into Germany? Germany job seeker visa Germany job seeker visa. permalink. How will Canada Immigration Become Complicated in 2018?